What level of care do I need for myself or my parent; Independent or Assisted Living? At Mercy Crest, each resident’s care plan is specifically designed to meet the needs of that particular resident. All our residents enjoy three delicious home cooked meals, laundry and housekeeping services, a full range of activities, access to in-house staff via an emergency call system, and a driver to assist them to doctor’s appointments. For residents who need a little more assistance, our certified staff will assist with grooming, dressing, bathing, some toileting, and other activities of daily living. Licensed Nurses will monitor your health condition, coordinate care with your doctors, and manage and administer your medications. And, if you are Independent and decide you need more assistance, you can change to Assisted without changing apartments. No, all residents of Mercy Crest live in comfortable, private apartments decorated with their own furnishings and keepsakes. Your apartment price covers utilities, including electric, water, extended basic cable, and Wi-Fi. (1) Private Pay, means that you alone are responsible for paying your monthly rent. You either have funds available in savings or adequate income to cover the monthly rent amount. (2) Long Term Care Insurance is a specific type of insurance, that when purchased as a part of your long term financial planning, will cover all or a portion of your monthly rent. (3) VA Aid & Attendance is a Veterans benefit that can be used to pay for the care of a Veteran that served in the US Military under specific conditions. Veterans must apply and be approved through the Veterans Administration. (4) Arkansas Medicaid Waiver is a specific program through the Arkansas Medicaid program that allows those who meet specific income, asset, and medical guidelines to reside in an assisted living community. The program assigns a portion of the cost to the resident and the waiver pays remaining portion directly to the community each month. The resident must apply and be approved for waiver services through the Medicaid application process. No, there are two separate programs and you will still need to apply for the Medicaid Waiver Program. We are happy to help you with the application. Please call (479) 478-3000 for an appointment. How do I apply for the Medicaid Waiver? First of all, you will need to gather some documents to complete the application. You can find a complete list. What if I do not like the meal being served? Mercy Crest will always have alternatives to the main menu items. Heart Healthy options are always available along with a salad and fruit bar, soups and sandwiches, and a variety of desserts. What is Veterans Aid & Attendance Pension? The VA Aid and Attendance Pension Program provides benefits that reduce the cost for veterans and surviving spouses who require assisted living. The program provides for veterans and surviving spouses who require the regular attendance of another person to assist in eating, bathing, and dressing or taking care of those daily needs. The program covers persons who are blind, in a nursing home, or assisted living community. In order to get your name on the list for an apartment, you need only to call our Resident Liaison (479) 478-3000 and give her some health and contact information. She will make an appointment for you to meet our Director of Clinical Care for a quick assessment that will determine if Mercy Crest is appropriate for your needs. What if I don’t want to participate in activities? No resident is required to participate in activities, however most residents will find something that interests them from the numerous activities that are offered. Besides, the organized actives, many resident get together in small groups to play cards or games on their own. There is always something going on. 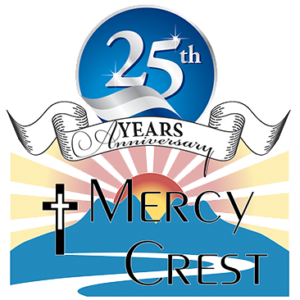 At Mercy Crest, the cost of your apartment is “all inclusive” with all our basic services. The only extra expenses will occur if add extra cable services or a personal telephone. You will arrange those services and will pay those services and pay those companies directly. You can pay your monthly charges by check, money order, cashier’s check, or cash. You can also set up an automatic draft or bank transfer by visiting our business office. We do not accept credit cards at this time but will be adding that capability in the future.